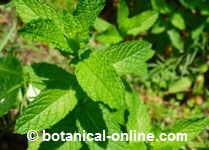 Boldo (Peumus boldus) infusions or chewed leaves are indicated for bad mouth odor. Guava (Psidium guajava) Traditionally, the leaves are chewed against bad breath. Spirulina: The chlorophyll content of spirulina makes it very suitable for the treatment of halitosis or foul odor. The chlorophyll freshens the mouth and provides a good smell. That is why many industrial mouthwashes include it in their composition. Fennel: (Foeniculum vulgare) To combat bad breath it is useful chewing some seeds of this plant after meals. 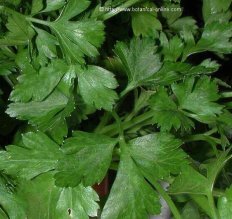 Coriander: (Coriandrum sativum) Widely used in Oriental countries. In India it is common to chew some seeds after meals to combat odor. You can also make a decoction for 3 to 4 minutes with a teaspoon of seeds in a pint of water and then make mouthwash. Cardamom: (Elettaria cardamomum) Widely used in Arab countries where it is common to chew some seeds after meals to combat odor. Dill: (Anethum graveolens) Like cardamom, chewing seeds of this plant can clear the evil breath. Ginger (Zingiber officinale) A well-known oriental technique is to use a small piece of pickled ginger and vinegar to be found in Oriental stores to remove bad breath and freshen your mouth after meals. 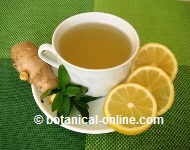 Ginger infusions are also suitable.